And now you can get the chance to collect an average of $1,400 every eight days... GUARANTEED. Buddy: Hi, I’m Buddy Pittman. I’m here today to tell you about a very special group of people. There are 272 of them. They range in age from 43 to 80. But despite their differences, this group of people all share one thing in common. None of them has EVER lost on a specific type of stock trade. And over those 15 years, we discovered this elite group had made 917 trades in total. Because these traders have a unique advantage that regular investors don’t. And get the chance to collect an average of $1,400 in profits every eight days. In fact, we’re so confident, we’re going to guarantee it. Why wouldn’t we... considering these are traders who have never lost on this specific type of trade? We’ll also FedEx you this special device that can help you achieve the same success these traders have experienced. More on that in a moment. Now, sitting next to me is the man who first identified the secretive Perfect Traders, Alex Green. He has a special “in” with the Perfect Traders – which you’ll soon see could help you achieve your dream retirement. You likely know Alex as The Oxford Club’s Chief Investment Strategist. 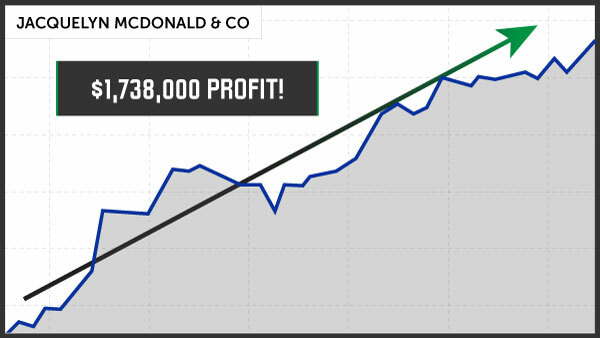 Not to mention an incredible 109,811% in total winning gains (including every time he’s taken profits). Readers of Alex’s services have made $800,000... $1.3 million... even as much as “a couple mil,” according to one letter he received. But Alex is raising the bar even higher! They partnered with a genius DNA scientist and computer programmer... and worked with the Google Cloud Platform to max out its profit-targeting power. With these types of wins (and no losses), the Perfect Traders are raking in the cash... no matter what else is happening in the markets. And won every single time. His total profit after six months? A $128,200 windfall. Perfect Trader Stephen Fritz made four trades on a shaky chemical company. Its prospects weren’t looking good. But this Perfect Trader had a special advantage... and each time, he knew the stock price was headed higher. As a result, Stephen won on every single one of those four trades. His total profit? A whopping $3.5 million. 21 other traders took notice... and followed her into one of her trades. Altogether, they were up $1.7 million! That’s how profitable following these Perfect Traders can be. 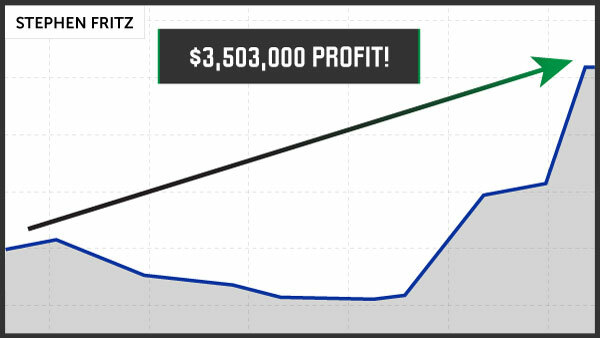 In total, just these three Perfect Traders led the way to $5.4 million in profit! That’s the power of the Perfect Traders. They can rack up millions on just a few special trades. And Alex will also fill you in on the three trades some of the Perfect Traders are targeting NOW. I’m going to ask you NOT to share this information with anyone. We want to reserve this strategy as a special benefit for Oxford Club Members ONLY. Bigger than when The Wall Street Journal honored his newsletter for being among the top 10 in the world for high returns with low risk during the last THREE market cycles. Today, you’re going to discover how Alex’s tracking system works... and how YOU can use it for the chance to collect an average of $1,400 every eight days over the next year, guaranteed. At $63,875 per year, that’s almost four times the average annual Social Security income. Alex, I’m glad you’re here today. This discovery could be a game changer for our Members who are looking to boost their retirement accounts with big cash windfalls. After all, what could be easier than following a group of stock traders who have NEVER lost? Alex: Thanks for having me, Buddy. And I agree. That’s why I’m very excited to be here today. 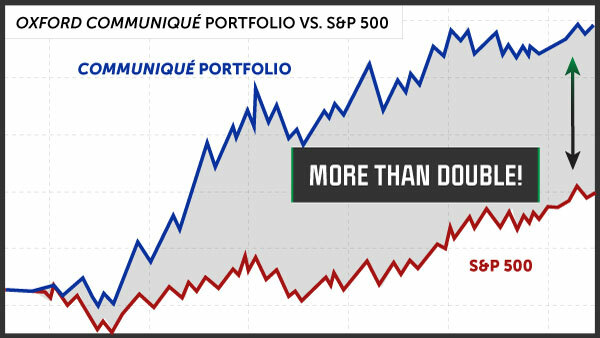 Which has safely more than DOUBLED the performance of the S&P 500 over the past 20 years. Or maybe our viewers – along with hundreds of thousands of others ­– read your daily guidance on the markets in Liberty Through Wealth, Investment U or The Oxford Insight. But a LOT of people tuning in today don’t know about your depth of expertise. Can you tell us a little about your background and how it led you to uncover the Perfect Traders? I got my start on Wall Street 33 years ago. I was a stockbroker at what’s now the second-largest global wealth management company. We’re talking hundreds of billions of dollars in assets under management. And I can tell you from firsthand experience, the advantage we had over the average investor was overwhelming. While the average Main Street household brought in only $61,000. But here’s the most important advantage we had by far. Because we were such a powerful trading house, we had connections and access to top executives of the stocks we were looking to trade. If I wanted to call the CEO of a company directly and talk to them about what was going on in their business, I could. I could go visit the company, tour its facilities, test the new product launches. THIS was our premier advantage. Top-level corporate executives have access to all sorts of information you and I don’t have. In short, they know pretty much everything there is to know about customers, suppliers, employees and competitors. They have an information advantage nobody can match. Buddy: And what is that? Alex: No insider is ever going to give you a completely truthful scoop on their company. If things are going really well, they’ll brag about it from sunup to sundown. But if things are going badly, they aren’t going to tell you about that. Rather, they’ll try to spin it as positively as possible. Buddy: So you had to try to read between the lines and figure out the truth? Alex: In a way, yes. But it’s actually much easier than you think. What they’re doing with their own money. If they are buying significant amounts of company stock at market prices, you can bet the company is performing very well. But if they aren’t buying, don’t count on everything they’re saying being the full picture. Buddy: So you track what they’re actually buying with their own money? Alex: That’s right. We use software to monitor what hundreds of insiders do every day. We want to know with 100% certainty if they’re putting their money into their own companies. Buddy: But, Alex, I have to ask, what does this have to do with the Perfect Traders? Alex: I’ll explain exactly how the Perfect Traders fit into this in a moment. But first, let me show you how successful you can be just by tracking the insiders. Buddy: Looking through your record, it’s clear this strategy gives your subscribers an unfair advantage over regular traders. Let’s look at one of your recommendations – Overseas Shipholding Group back in 2011. It’s a stock I’ve never even heard of. Alex: Actually, unknown stocks are some of the best to track because far fewer traders are following the moves of these insiders. And that 2011 was a bad time to be in that business. The average investor would have stayed far away. They would have assumed Overseas Shipholding was going to bite the dust too. Alex: That’s right, but that’s exactly when Carl Fenton, Director of Overseas Shipholding, started loading up on shares. Buddy: That’s an awfully big bet. He must have been very confident the stock was headed higher. So that’s why, on April 25, you sent an alert to your readers telling them to get in. Alex: It will come as no surprise that Overseas Shipholding crushed earnings. Buddy: Clearly, Carl Fenton had a pretty good idea the company was doing well. And Alex, I see that you closed out a special play for 121% in 15 days. And cashing out with a profit of $6,050 just two weeks later. 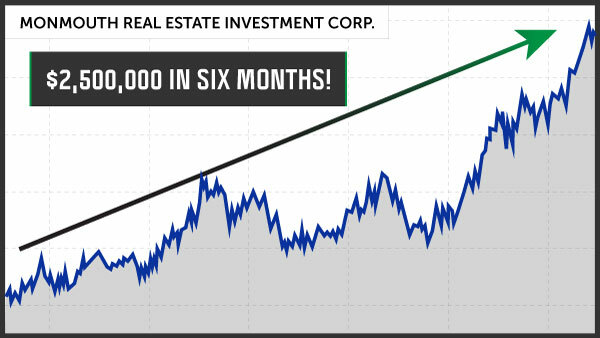 If you could repeat those results throughout the year, you could add $147,217 to your annual income! You uncovered an urgent opportunity in VeriFone back in 2009. This company makes the payment processing systems every store owns so that they can take credit cards. As you can imagine, it makes money when the general public is spending a lot. But in 2009, the painful memories of the financial crisis were still very fresh. People probably thought you were crazy, Alex. Alex: They may have, but I didn’t do it on a whim. I did it because CEO David Black bought 100,000 shares for $624,000. Buddy: And sure enough, VeriFone knocked it out of the park that quarter, beating earnings estimates by a large margin. And your subscribers locked in a 147% gain in just six days. A modest investment on Wednesday yielded $7,350 in pure profit the following Tuesday. 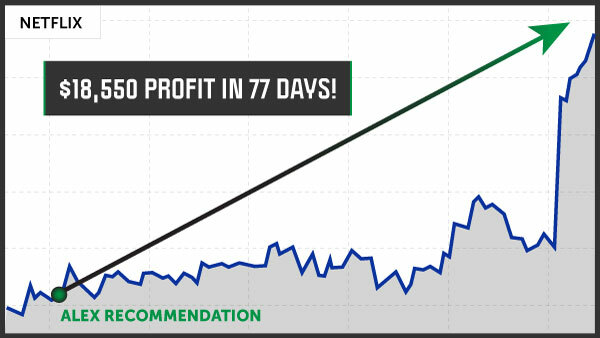 Looking at these numbers, it’s easy to see why you’re comfortable guaranteeing new subscribers the shot at $1,400 payouts every eight days from this strategy. And it’s not just earnings surprises, either. According to my notes, your strategy can help your readers benefit from ALL kinds of good news. Is that right? Alex: Yes, Buddy, that’s correct. The company executives inside the business know if there is turmoil in management, if a new product is testing well or if a big new contract is on the horizon. So when they buy shares, especially in large quantities, there simply is no better sign. Buddy: Here’s a good example. Regular investors probably had no clue something good was about to happen to the stock. But you had your system running, looking for big moves by the people in charge. And sure enough, Chairman and CEO Scott Sanders purchased 300,000 shares at $3.40, an investment of more than $1 million. So you sent out a “Buy” recommendation on April 27. Then Bank of America released a report forecasting BIG profits for Huntington. The report drove shares through the roof. And had the chance to capture $13,350 in profit! If you could repeat that, you’re looking at $348,054 in a year. And these are NOT back-tested gains. These are all REAL results from your recommendations. I have to say, this is amazing, Alex. It’s like you’re seeing into the future... predicting big stock-moving events with your strategy. But I can’t say I’m surprised. I have an extensive list here of what you’ve done for your readers. And an incredible 109,811% in total winning gains. But these aren’t just numbers on a page. Your research changes people’s lives. Here are some comments from a few of your readers. Jack McMillan said his portfolio cratered during the 2008 crisis – but that by April of 2011 it was worth $2.96 million. This is exactly what you set out to accomplish when you left Wall Street. That must feel amazing. Alex: It does. But with our discovery of the Perfect Traders, we’re about to take it to the next level. About two years ago, we set off on a mission to do something special. We knew that tracking insiders gave us a big advantage. It’s been one of the longest-running strategies that’s continually worked for our Members. However, we also know that insiders aren’t perfect. Just like with any set of traders, some insiders were better than others. Some were too optimistic and would buy at the wrong time. Others would sell too early. So we started perhaps the most comprehensive study of insiders ever completed. We used a specialized data stream to get hold of 7.8 million insider trades going back to 2003. Terabytes of data. And sorting through them all, going back 15 years, was a massive undertaking. To find only the best insiders. Giving my team the raw processing power necessary to look through all that data. Without knowing for sure if we would find anything. I remember Ray, the project manager, worrying that we wouldn’t find even one insider with a better win percentage than 66%. After all, 66% is a great win rate. But it wouldn’t be good enough for what I had in mind. One that everyday people could rely on to stop worrying about paying their bills and accelerate their retirement savings. 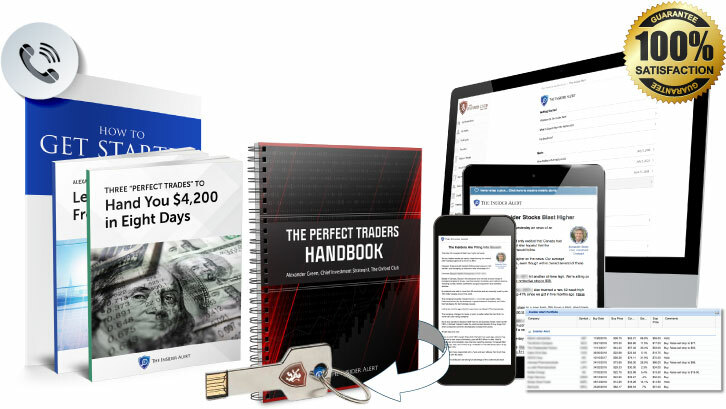 272 perfect insiders who had never lost on a trade. Each had a 100% win rate when trading on their own companies. Buddy: I’ve reviewed the study. And the track record of the Perfect Traders is amazing. In total, we examined $603 million of profit between them all. For example, let’s look at Eugene Lee. 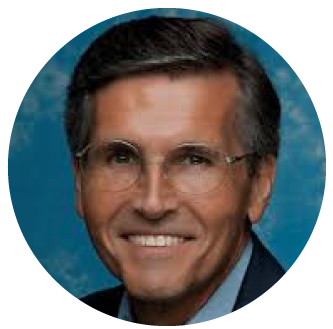 He’s chairman of the board at Monmouth Real Estate Investment Corporation. With gains as high as 783%! In total, his stakes six months out from each trade were worth more than $2.5 million. Then there’s Robert Warburton, chairman and CEO of Chemtura Corporation, who executed two perfect trades on his company. And six months later... his stake was worth $3.2 million! A 926% gain. For a total of $15.2 million. He won every single time. Those shares would now be worth a whopping $72 MILLION. Alex: Do you see now how easy this is? When the Perfect Traders make a move – especially one of this magnitude – you can follow them with confidence. Of course, past performance doesn’t guarantee future results, and all investing involves some risk. But there’s no better way to invest than riding the coattails of successful insiders. Buddy: And now Alex is following these insiders’ every move. And he’s willing to share this special device with his subscribers to help them achieve the same success these traders have experienced. No one else knows who these Perfect Traders are. This is proprietary research. So it’s ONLY your readers who know the best time to get in alongside the Perfect Traders for explosive profits. Alex: That’s right. To demonstrate, let’s pull up a few of the trades I’ve actually recommended. Buddy: OK, our first Perfect Trader is Herbert Smith. He’s an independent director at The Cheesecake Factory. In our study, we found he had NEVER lost on a single trade on his company. For example, in November 2017, he bought 25,000 shares of Cheesecake Factory stock. That’s an awfully big bet. Alex: Right. He’s not going to put $1 million of his own money on the line unless he is certain the stock is going to go up. Buddy: And sure enough, it did! Those shares were worth as much as $1.4 million. $400,000 in profit. And they collected 217% on a special play! That’s a chance at about a $10,850 profit. Alex: Now look at Perfect Traders Hanno Hill and Todd Craig. Buddy: Looks like Hanno is chief operating officer and vice president of Simply Good Foods... and Todd is chief financial officer. In May, they bought 14,000 shares of Simply Good Foods stock. In total, that was $183,820. Alex: Not a small investment by any means. They had to know something good was about to happen. Buddy: You’re right. Those shares would now be worth as much as $266,000! A profit of about $83,000. And your subscribers could’ve collected 411% on a special play! That’s a chance at about a $20,550 profit. You followed Perfect Trader Daniel Peterson into Brink’s. And he bought nearly 84,000 shares for $2.5 MILLION in July of 2016. 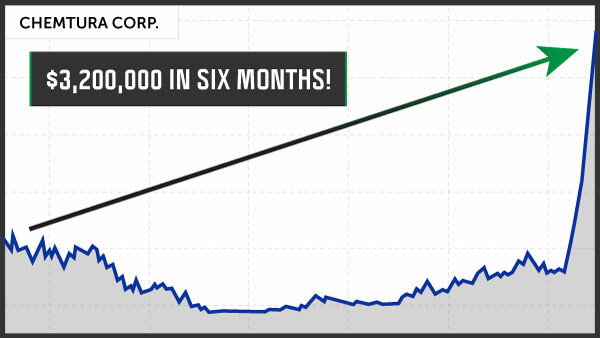 A little over a year later, those shares would be worth as much as $7.1 million in value! A profit of $4.5 million. 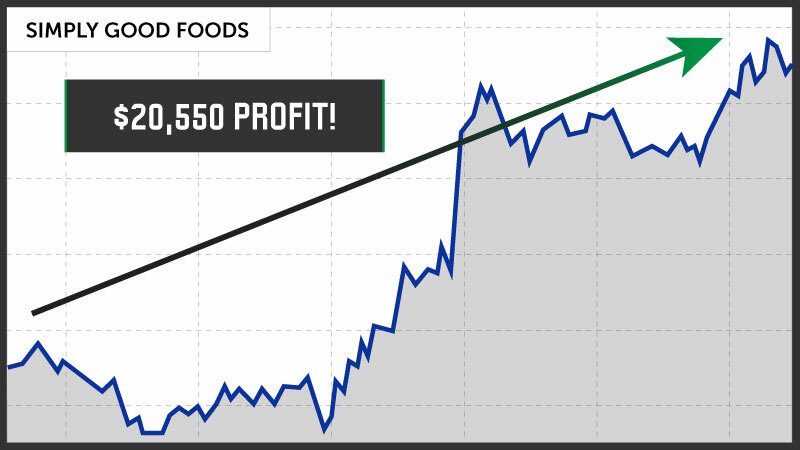 You alerted your subscribers to this situation, and they saw 696% gains on a special play! That amounts to a potential $34,800 in pure profit in just a few weeks. Altogether, your subscribers could have collected $66,200 on just those three trades. Amazing. When the Perfect Traders made a move, you alerted your subscribers to get in alongside them for huge gains. Isn’t insider trading illegal? Like Martha Stewart or Enron’s CEO Jeff Skilling? Alex: When someone gets nonpublic information about a company and trades on it secretly, yes, it’s illegal. They simply have to file what’s called a “Form 4” with the SEC within 48 hours of their purchase. And all this information is filed in a massive database that I’ve been tracking for a long time. We monitor this database every business day and look for large, abnormal trades that stand out. My team and I get VERY excited. Buddy: So that’s how you’ve been able to deliver your readers the shot at an average payout of $1,400 every eight days for the past 17 years. Your readers can actually get in alongside these insiders... and use this unfair advantage to their benefit! How big of an impact could this make on the everyday investor? Alex: Let me put it this way. And the stock INSTANTLY jumps before you get a chance to get in? But by following insiders, you can position yourself before these big moves happen. Whenever they make a trade I'm watching, my system alerts me. Instead of getting left in the dust when news hits the street. And it looks like you’ve accomplished this in spades. This company had a terrible year in 2017. Its only approved drug had caused some unforeseen complications in 19 patients. Regular investors were understandably staying away. But just a few months later, you picked up on a big cluster of insider buying. Sure enough, Intercept beat earnings estimates two quarters in a row. THEN, on August 6, analysts from Goldman Sachs and Wedbush both upgraded the stock. Goldman hiked the price target from $46 to a whopping $157! So on that day, you closed the special play for a 278% gain. 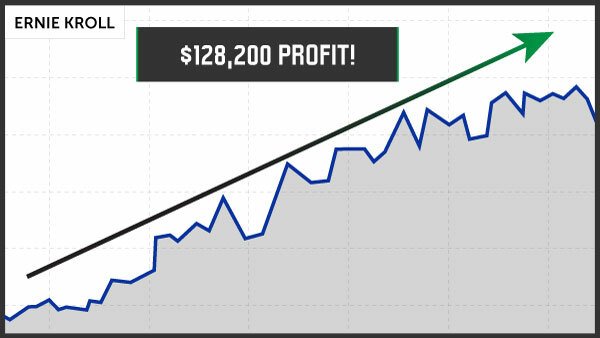 Your subscribers had the chance to collect $13,900 in pure profit. That’s incredible. And looking at your track record, this isn’t rare or exceptional at all. Your system also picked up on insider buying in Netflix back in 2016. Now, Netflix was already a huge success. From its IPO to August of 2016, the stock had gone up 7,900%. Most people stayed away, fearing they were late to the party. To their credit, the stock price had flatlined for months. And it looked like growth had stalled after lackluster subscriber growth the previous quarter. But your strategy indicated there were still big gains to come. Alex, can you share with us what you wrote in your “Buy” recommendation on August 3? Sometimes you’ll see lower-level executives buy a few thousand dollars’ worth of shares, and that doesn’t mean much to me. It’s a sure sign that something big is coming. Buddy: Sure enough, good news hit the stock. Netflix added 3.6 million members in the third quarter, shattering its own expectations for growth and silencing skeptics on Wall Street. It now has more than 86 million subscribers. 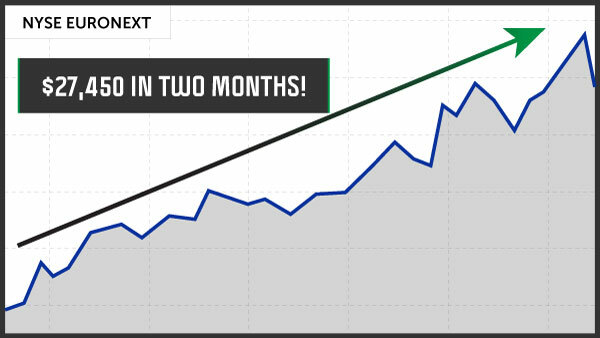 Your subscribers locked in a 371% gain in 77 days! They collected an $18,550 payout in just over two months. Earlier I talked about Brink’s. Back in 2016, it didn’t look like a good time to get in. Earlier that year, a private equity firm attempted a hostile takeover and was shaking up the board. The future of Brink’s was uncertain. Sounds like the chopping block to me. But Alex, on July 11, 2016, you sent out an alert to your readers. And keep in mind, Daniel Peterson was one of those 272 Perfect Traders. For someone like that to bet $2.5 million on a single stock... it shows a lot of confidence. Buddy: The readers who acted on your recommendation made huge money. Less than a month after your email, they locked in a 696% gain. That amounts to $34,800 of profit... in just 44 days. They had no idea that this huge payout was coming. It seems like your strategy is the best way to “see into the future” for individual stocks. Looking at the data, I’m floored. I want to take one more second to point out how amazing this system is. Here’s a chart of Brink’s since 2009. You can see how the stock price was going nowhere for years and years. If you’d been a shareholder this whole time, you’d be pretty miffed. 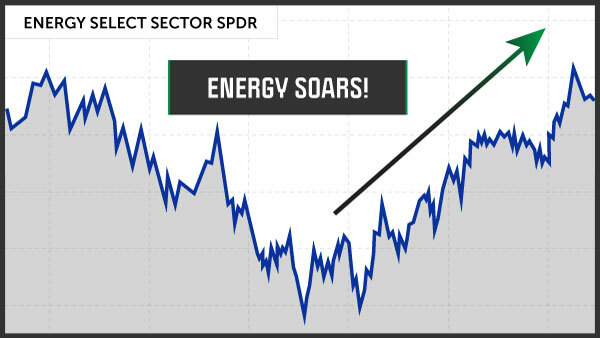 But right here on the chart is where the Perfect Trader got in – and it’s also when you recommended Brink’s. And look what the stock did after. This is raw predictive power if I’ve ever seen it. It’s easy to see why The Oxford Club is so willing to guarantee the chance at $1,400 payouts every eight days to our audience today. We’re even going to FedEx this special device right to the viewers... with intimate details on the Perfect Traders strategy and how to maximize profit on these plays. I’m excited for our audience. 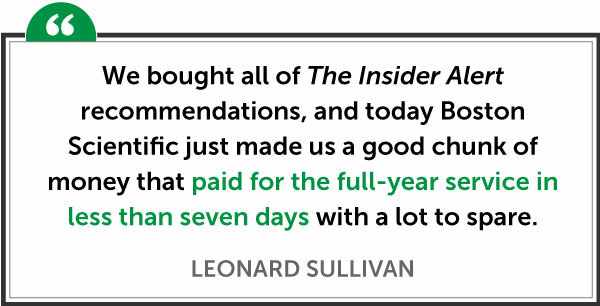 Obviously, tracking insiders – and especially the 272 Perfect Traders – is about as good as it gets. Alex: There’s nothing better, in my view. Buddy: I mean, look at these incredible traders’ histories. We just have to share these stories in more depth. For example, I mentioned Perfect Trader Ernie Kroll has successfully profited on Financial Institutions Inc. not once or twice... but 10 TIMES. I’m sure he knew his company was doing well. So he took advantage of the depressed stock price... and stockpiled a mountain of shares. What happened next should surprise no one. 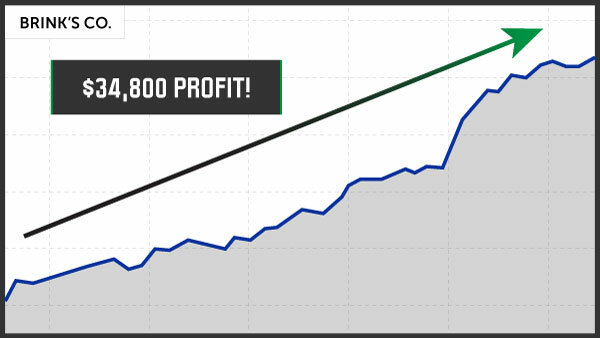 180 days later, Ernie was sitting on top of $128,200 in profit. Here’s another Perfect Trader example. Lisa Orman is 10 for 10 trading Lakeland Financial Corporation, where she’s an insider. Not only that, but she AT LEAST doubled her money each time. She bought on the dips... when most investors would have stayed away, fearing bigger losses. But because she’s an insider, Lisa knew those were temporary setbacks. As a result, she’s pocketed $279,756 in profit over the years. And I have to mention Jacquelyn McDonald again. She’s another Perfect Trader. This 62-year-old board member of Enterprise Bancorp hasn’t lost on a trade on her company in more than six years. So when she purchased 2,300 shares in June 2016, 21 other insiders followed suit with 110,000 shares. When a high-level insider with a track record like this gets up to bat, other officers and directors line up too. It’s called cluster buying... and it’s a HUGE sign a stock is about to roar higher. Buddy: And that’s exactly what happened with Enterprise Bancorp. Altogether, Jacquelyn McDonald and the other insiders were sitting on $1.7 million in profit... just six months later. The guaranteed shot at $1,400 every eight days may even be conservative. So your readers can get in alongside them. Your strategy seems like the best way to see big gains coming... and get in ahead of time. Alex: And it’s not just my personal belief that tracking insiders works. Multiple prestigious studies confirm it. A joint study from Harvard and Columbia universities found that insiders make market-beating returns when trading before big events are announced. These events include buybacks, mergers and acquisitions and even the successful settlements of litigation against companies. Buddy: It’s not surprising. We’ve always known that Wall Street and the 1% had an unfair advantage over us Main Street investors. In your VIP research service The Insider Alert. How exactly does your service work? And I look for their biggest purchases... with a special emphasis on the Perfect Traders. In other words, every time these Insiders have made a purchase, within six months, their shares were always up. Every time. I put together an urgent alert and send it out to my subscribers. And I tell them who bought, how many shares, on what date, what price, and why they should buy shares now. Buddy: From what I’ve seen, the elite subscribers of this service can consistently make HUGE profits. Here’s an example from Continental Resources earlier in 2018. The company’s specialty technology helps it find and produce oil and gas. Nobody was excited about Continental. However, your due diligence uncovered significant insider activity. Here’s what you wrote in your alert. Then, unsurprisingly, good news hit the stock. Oil prices went on a tear. 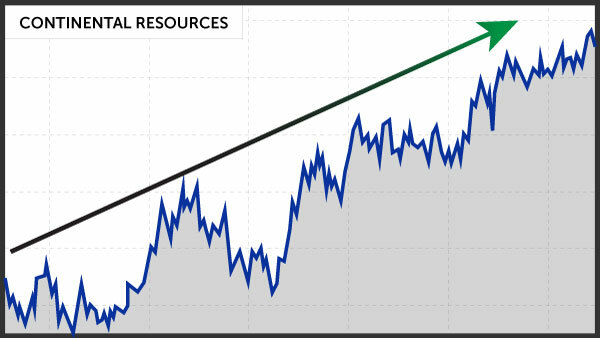 That sent shares of Continental Resources soaring. 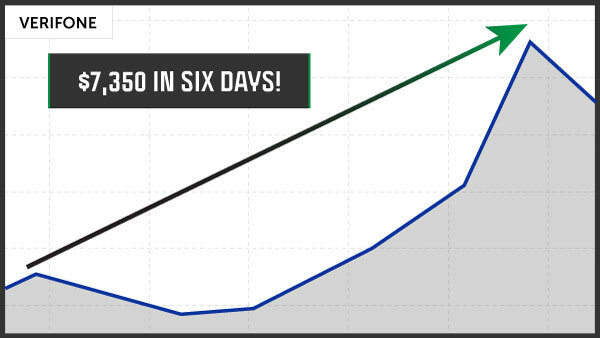 Readers who followed your special play recommendation locked in a 463% gain in just 86 days. That’s a chance at a $23,150 payout! They couldn’t have known this big spike was coming. To give you the same advantage that the most connected insiders enjoy. The insiders who know better than anyone else where the share price is going. 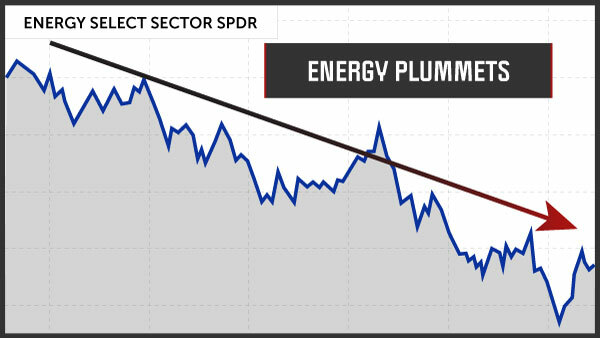 In this case, you didn’t have to guess where oil prices were headed. All you had to do was the very same thing the chairman and CEO was doing with his money. And we do this over and over with The Insider Alert. This system really is perfect for the everyday investor. It’s easy... low-risk... and offers massive cash payouts. I mean, just look at your recommendation on Euronext, the company that runs the New York Stock Exchange. The scars from the financial crisis were still very fresh. Investors hadn’t fully bought back in. 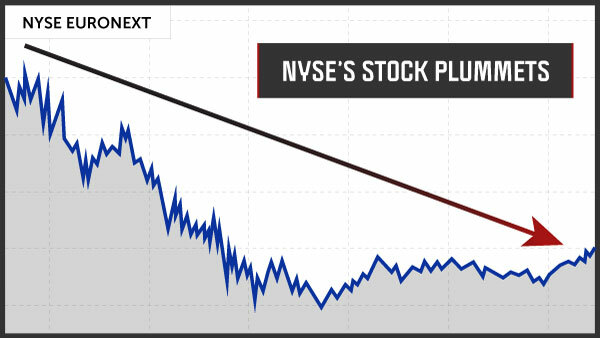 This chart shows the absolute devastation to the stock. But in February of 2010, you picked up on insider buying. It’s not surprising what happened next. The market’s recovery accelerated. Euronext jumped. 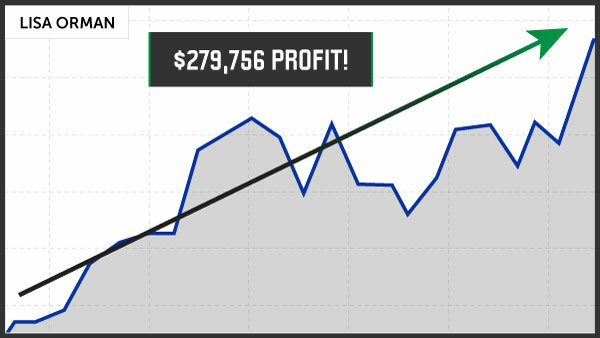 Your subscribers who followed your special play recommendation locked in a 549% gain... a profit of $27,450 in just two months. Here’s one more example of the power of tracking insiders. Again, energy was in a downfall. This time, from none other than billionaire Carl Icahn. Talk about a green light. You sent an urgent dispatch to your subscribers. And your subscribers were able to get in alongside him. They locked in a whopping 1,248% on a special play! Or $62,400 in less than four months. This is a godsend for everyday folks who need to catch up on retirement savings... or need extra income to actually enjoy their lives. No more worrying about making ends meet... or depriving themselves of gifts and travel plans. Alex: That’s what I want to do for viewers today. Buddy, I worked hard for my clients on Wall Street. So hard, in fact, that I was able to retire from that industry at 43 years old. I discovered firsthand that financial freedom is the best feeling in the world. So I’m committed to helping as many people as possible achieve that with The Insider Alert... so that they can finally live their lives the way they want. 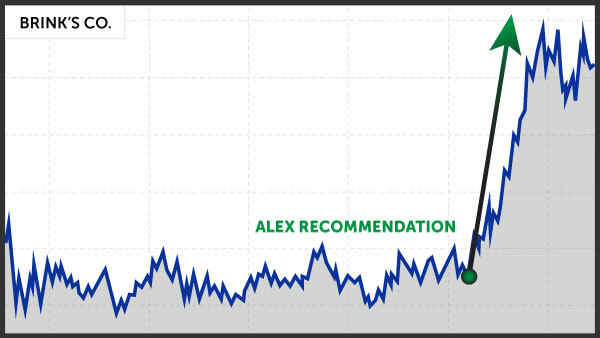 Buddy: Now, to get people started, Alex is going to send you three trades where insider buying has just spiked. There’s a very good chance that these plays are about to deliver massive profits. And a unique strategy to help leverage your gains even more. You CANNOT get this anywhere else. Because this research is so sensitive, we’re not going to put it online, where it could be potentially hacked. You’ll see for yourself the true power of these 272 elite traders only by getting hold of one of these devices. But there’s one more detail we haven’t gone over. And it’s extremely exciting. We’re not just following insider buying. We’re not just following the Perfect Traders. We actually have an advantage over the Perfect Traders and insiders like them – is that correct? Alex: Yes, Buddy. 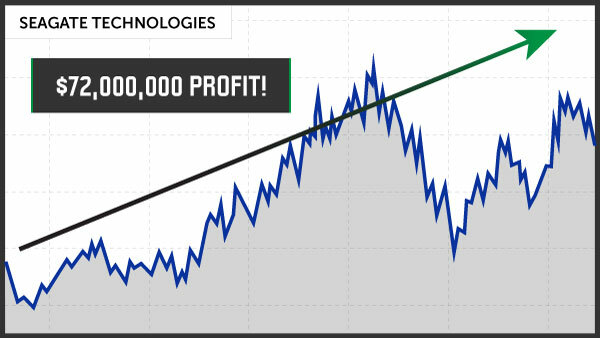 We can actually make bigger profits faster. Even though these insiders have more information than we’ll ever have. The secret lies in an obscure law most people don’t know about. I mentioned earlier that insiders have to report their purchases to the SEC using a Form 4. But that’s not the only restriction they have. 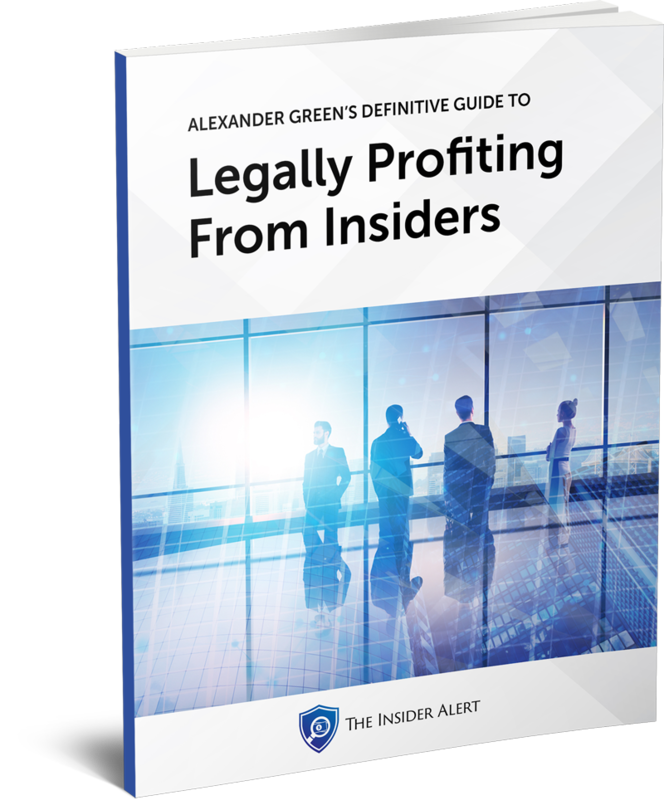 Legally, insiders are not allowed to take profits until six months after their purchase date. But we don’t have that restriction. 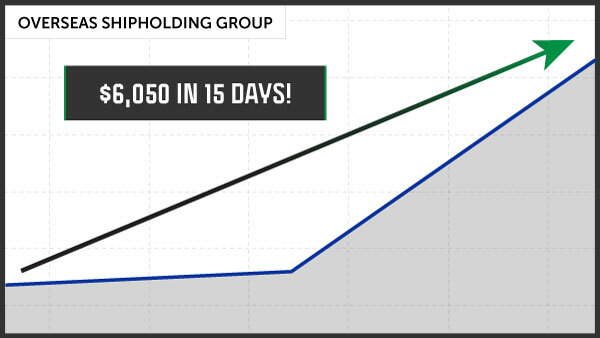 If the stock shoots up on great news, we can take home profits in a matter of days or weeks. The Insiders can’t, but we can. And we often have. 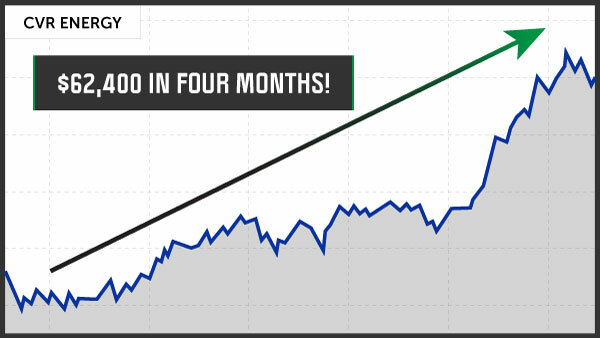 As you’ve seen in our track record, I’ve shown my subscribers the chance at $1,400 every eight days on average. And they’re finally taking back the profits they deserve from Wall Street. 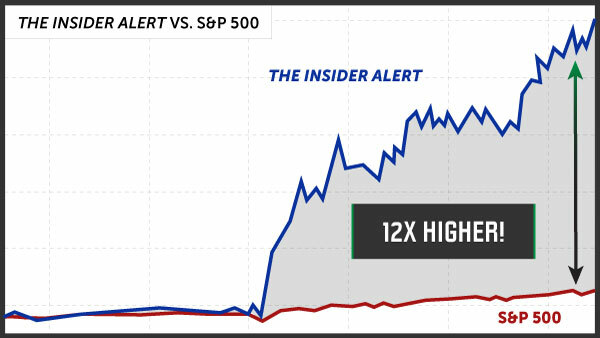 It makes sense now that The Insider Alert worked through all the ups and downs of the last 17 years, across more than 740 trade recommendations. The dot-com recovery... the financial crisis of 2008... countless corrections... and the most recent bull market. Now, we all know, not every recommendation is a winner. Sometimes, even with insider buying activity, a stock behaves unpredictably. 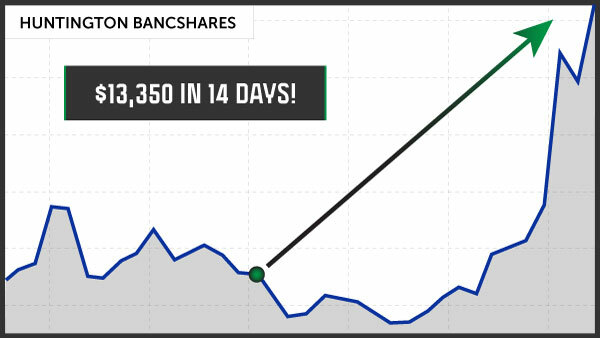 But the $1,400 every eight days we’ve been talking about INCLUDES any trades that didn’t make money. That’s how powerful this strategy is. Your strategy has blown those returns out of the water, outperforming them by 12 times over! Again, these were REAL trade recommendations sent out to REAL subscribers. The returns are set to go through the ROOF. You just picked up on three companies where insider buying is spiking. And you at home have the chance to get in alongside elite insiders who know exactly what’s coming. It’s time to finally get ahead of massive gains. And they’re ready to send you his next three insider picks in a private email they’ll rush to your inbox. After we reach that limit, we have to shut access down. So you can start seeing the chance to make $1,400 every eight days on average, just like Alex’s subscribers... guaranteed. That’s like collecting four extra Social Security checks every single month. It means that in as little as eight days from now, you could be collecting $1,400 or more... and starting to breathe easier about your finances. And treat my family to more traveling without sweating the budget. Which is why it’s so important for you to take decisive action right now. 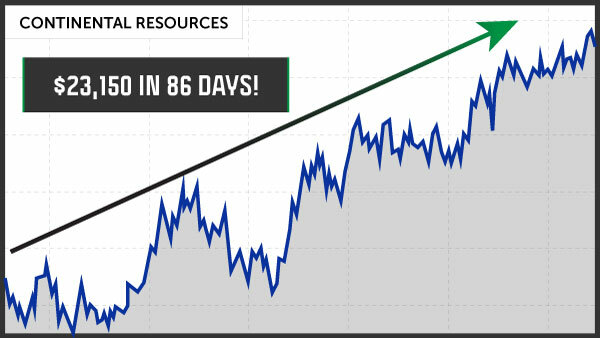 Alex will guide you to these huge, consistent profits in his VIP research service The Insider Alert. There’s no better way to make money from the stock market than following the Insiders. And I’m giving 250 people the chance to join me today. My goal is to help everyday people achieve total financial independence. Because I know what it’s like to work your tail off to make ends meet. I’ve been a maintenance worker on a truck terminal... I’ve worked nights at an auto parts warehouse... and I worked as a waiter in college. The value of a dollar is burned deep into my brain. And over my 17 years of running The Insider Alert, I’ve never seen a better way to grow your retirement money than tracking the top insiders. Buddy: 17 years is a long time. That kind of tenure in this business is virtually unheard of. I can’t think of another investment publication with as much longevity, except maybe Warren Buffett’s shareholder letters. Today, 250 people will have the chance to join your Insider Alert service. Alex, tell us how it works. Alex: First, my Baltimore-based team and I scan a massive database for new trades by insiders, including the 272 Perfect Traders I’ve already identified. 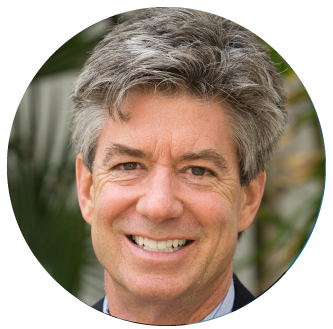 Then, I analyze the results for the best opportunities – insider buys from top-level executives, the ones worth millions of dollars – for the play that could hand you the biggest gain. Finally, I’ll send an instant profit alert directly to your inbox with precise instructions on what to buy and why. Buddy: These recommendations and profit alerts will be available only to Insider Alert subscribers. This breakthrough guide won’t even be up on The Oxford Club website. Because Alex’s team has spent more than $1 million developing it, we can’t afford it leaking on the internet. The only way to get your hands on Alex’s breakthrough dossier is THIS secure USB device. 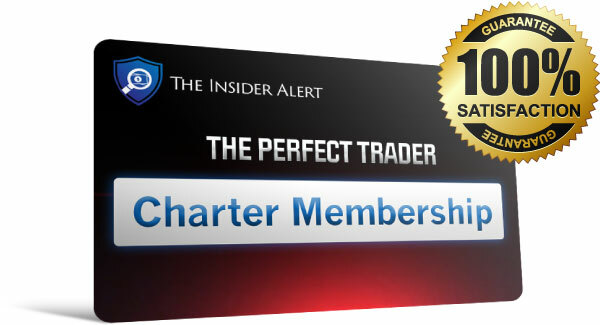 But once you’re a subscriber of The Insider Alert, we’ll send you the device with all the details on the Perfect Traders strategy. It’s discreetly shaped like a key. So you can keep it on your keychain without drawing attention to the most accurate and revolutionary moneymaking system we’ve ever developed. Feel free to store any other sensitive or important information on it... and keep it on your person by attaching it to your keychain. After you read these two special reports, you’ll never want to trade any other way again. Of course, you’ll also immediately receive Alex’s next three picks in your inbox TODAY. You won’t have to wait a moment once you join. Remember, insider buying just spiked for these three companies. It’s likely insiders know something big is about to be announced. It’s time to act swiftly... before the news hits headlines... and all your profits go to someone else. All this is yours when you join Alex’s Insider Alert. With it, you could make $7,350... $34,800... and even $62,400... in as little as a few days. Over and over again. Take a moment and ask yourself – how would that change your life? And how much would that be worth to you? And it will take another $1 million per year just to maintain. Alex: That’s right. Because my mission is to help everyday Americans achieve true financial freedom. Buddy: We’ll get to the details of how to join The Insider Alert in a moment. But I wanted to ask some questions I’m sure the viewers have right now. Alex, what happens with this strategy in a downturn? Will your strategy help protect your subscribers? If insiders are so confident in a company that they are buying EVEN when the economy is in shambles, it means something really good must be happening. Put simply, the easiest way to tell which companies will still rise during a bear market is to watch for insider buying. Consider this: the Perfect Traders actually made a lot of trades during the last downturn... and they made money on every single one of them! Here’s a list of actual gains I recommended in 2008 and 2009, during the midst of the financial crisis. All during the worst crash of our lifetime. 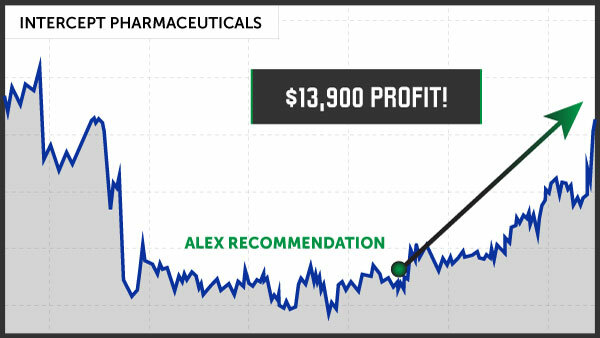 Alex: That’s why I’ve said... there is NO better way to make money in the stock market. Is this strategy just buying stocks? 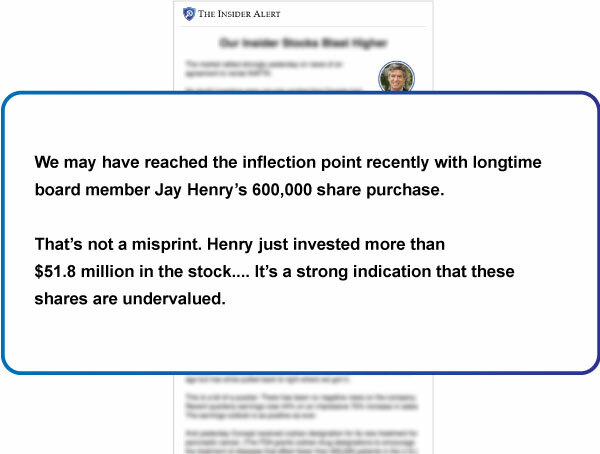 Alex: I do recommend stocks with every play in my Insider Alert service. But there is another type of trade that offers the really big, fast profits. They’re a simple type of trade that boosts gains by as much as 39 times the stock movement. And they’re one of the reasons for the exceptional profits we’ve talked about today. Your average win went all the way up to $2,950! 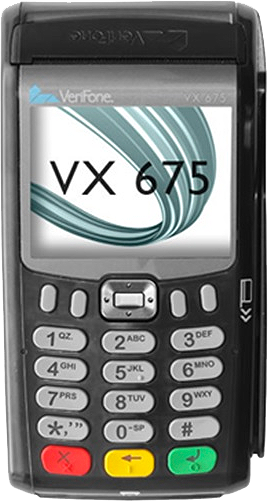 Your VeriFone payout multiplier delivered $7,350 in pure profit in just six days. 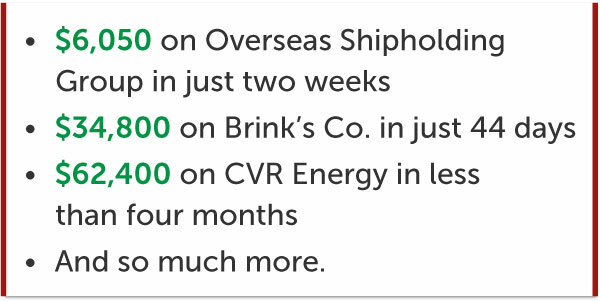 And Brink’s delivered $34,800 in a matter of weeks. These payout multipliers don’t cost much. So the viewers today can get started with as little as $50 sometimes. Not a lot of risk there. But I want to make one thing clear. 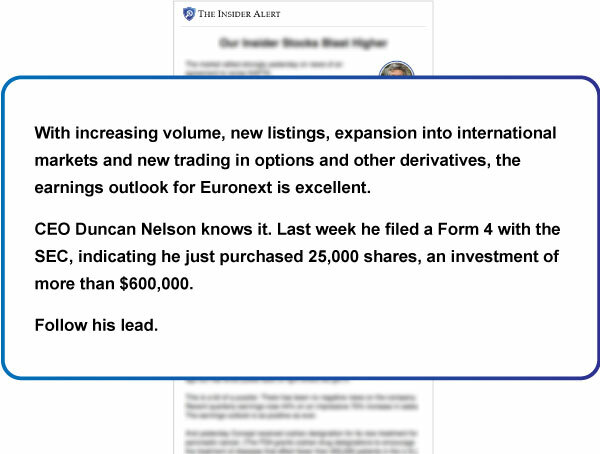 You can make plenty of money using just the stock trades in my Insider Alert service. 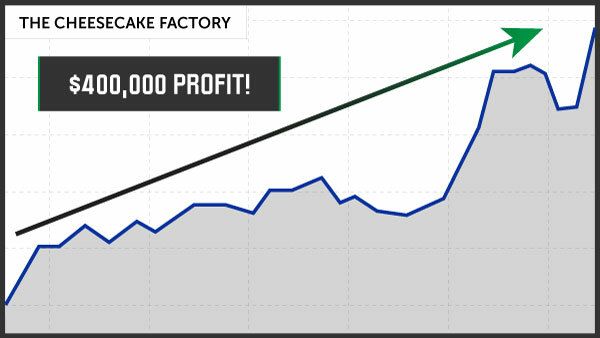 The payout multipliers are great for traders who want a little extra excitement. But you don’t have to trade them unless you want to. Buddy: Now, I have one more question. Will Insider Alert subscribers have to spend all day at their computers? Alex: Definitely not. It takes at most 10 minutes. My team and I will scan the market every day for spikes in insider buying. You simply decide which recommendations are right for you. I’ll also tell you exactly when it’s time to sell for maximum profits. Buddy: That sounds great, Alex. Thank you for joining us today. It can’t get any easier than that. So let me sum up everything viewers will get when they join The Insider Alert... IF there are still spaces left. And an elite Member Services Team, specially trained to answer any questions you have about your subscription. No, the price is just $4,000. Alex’s research has made many of his subscribers a LOT of money. Completely covering the $4,000 price. Research this powerful is worth the investment. Alex has also negotiated with his publisher to give you a very special assurance. 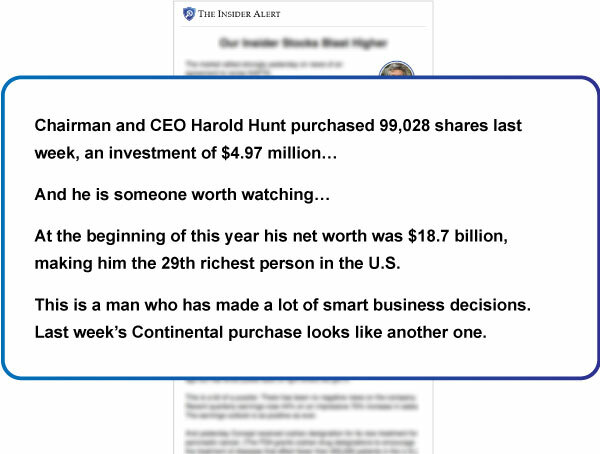 He's going to GUARANTEE your chance to see an average of $1,400 every eight days with The Insider Alert. If you don’t see that chance, just call us and we’ll give you another year absolutely free. In other words, we’ll fully cover the cost of your subscription for another year. That’s how confident we are in Alex’s 17-year track record. There’s no better or more consistent way to profit from the stock market. On top of all that, we’re guaranteeing your 100% satisfaction. If for any reason you’re not happy with Alex’s Insider Alert, call us and we’ll switch you over to one of The Oxford Club’s other VIP research services. But we’re confident that won’t be necessary. 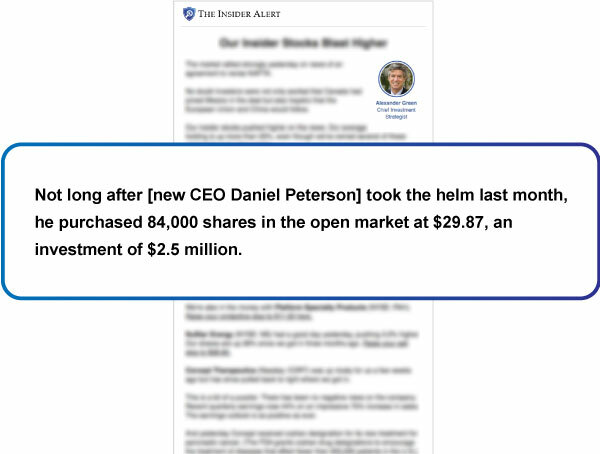 With The Insider Alert, you’ll get ahead of major stock moves with confidence. And the payouts are going to be even bigger now that Alex has discovered the Perfect Traders, insiders who have NEVER lost on a play. Or in the long term to pass on as part of your legacy. 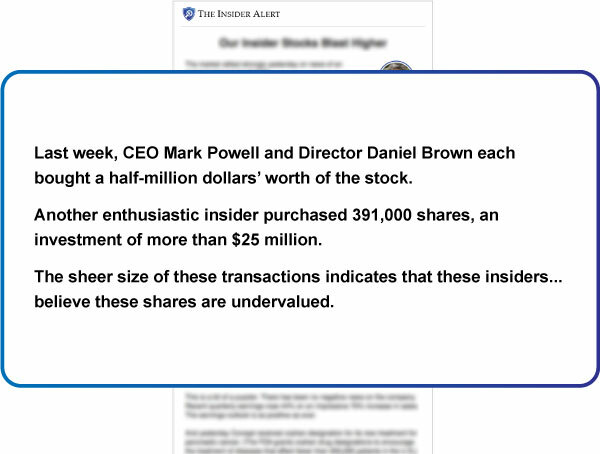 And you’ve seen how The Insider Alert is the ONLY place you can profit alongside them. And added an ironclad performance guarantee that fully covers the cost of your subscription for another year... AND a 100% satisfaction promise. 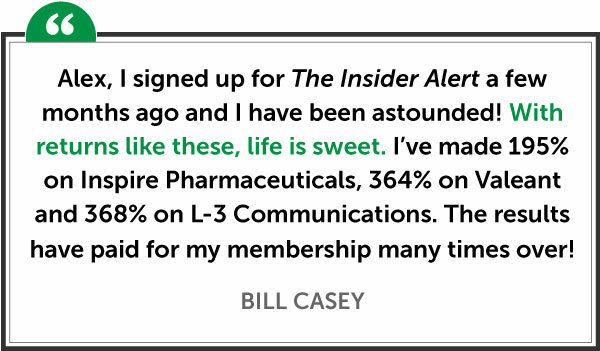 There are only 250 spots open to new Insider Alert subscribers today. Once that cap is reached, we WILL shut down this offer. That means fewer than 1 in 1,000 will get in today. That’s much, much lower than even Harvard’s 5% acceptance rate. Alex has to keep the number this low to preserve the profit power of his strategy. If his proprietary research leaks on the internet, Wall Street will know we’re onto them. And it’ll erase your advantage. So act quickly... while you can still get in. All sales today are final. If that bothers you, that’s fine. Or worse, they buy AFTER all the good news is already priced in! If that sounds like you, it means you’re probably not the right person to profit from Alex’s research on the Perfect Traders. But since you’re still watching, we believe you’re exactly the kind of person who belongs in The Insider Alert. Soon you’ll have your own success story, like many of Alex’s subscribers. You can get started with Alex’s Insider Alert right now. Will you act boldly and get in BEFORE these plays spike? Or will you go back to watching everyone get rich without you? By following the Perfect Traders. You can see the chance to collect $1,400 ­– and likely much more – every eight days on average, guaranteed. To get started, simply click the “Yes! I want to follow the Perfect Traders” button below. Or give our team a call at 888.570.9830 or 410.864.3090 to talk to a representative. You’ll be taken to a secure page where you can review everything before it’s final. From everyone here at The Oxford Club, thanks for watching. We’ll see you on the inside.